Posted on October 17, 2012 by Jian Akiraceo. 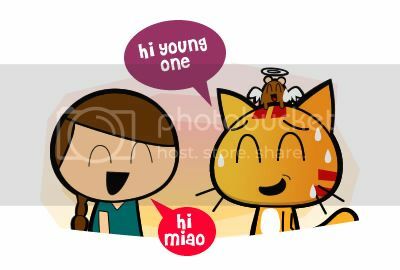 This entry was posted in Outdoor and tagged comic, girls problem, homicide, kak, miao, not to say to a girl, pauline. Bookmark the permalink. Well, my friend is scary. Then what we should call u?? haha Tuk?? hahaha! nice one! 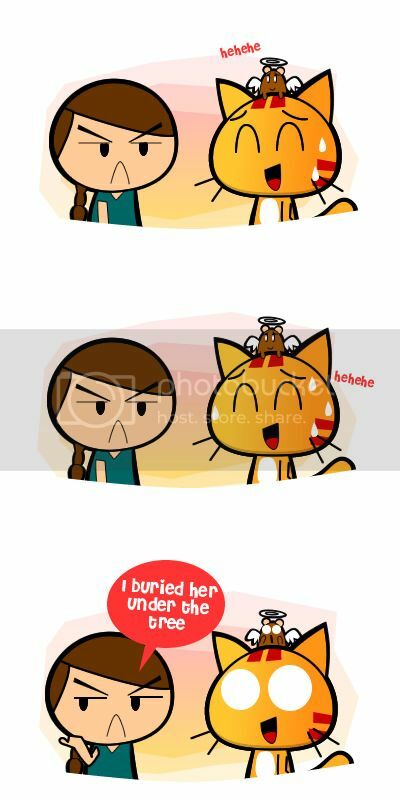 XD where u met pouleen! ur design of her is so cute! OH, I met her on the facebook status. Haha. No girl want to be call kakak by obviously much older person. 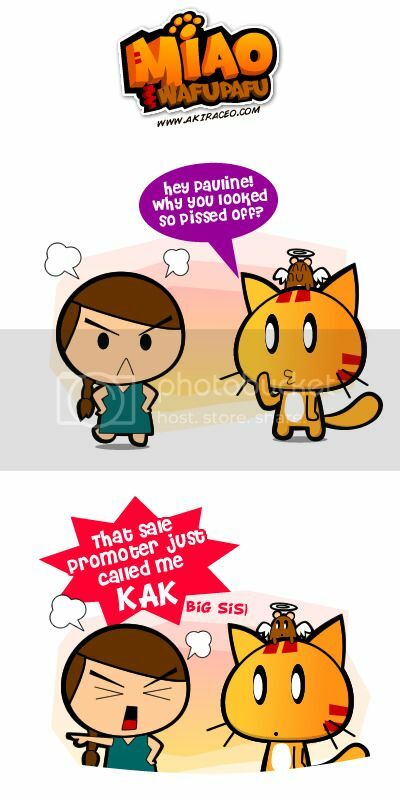 But sales promoter usually called other person ‘kak’ or ‘abang’ just to be polite. hahaha where’s the 1% goes to? I haven’t been called bang even with this age. I guessed it’s a bit different. what’s wrong? kak or kakak adalah pangilan hormat (dalam terma kekeluargaan Melayu) kepada individu (perempuan) yang lebih dewasa sekiranya jarak usia kedua-dua mereka tidak begitu jauh . Ini lebih baik daripada ‘aunty’! Well, the problem is my friend is only 19 and the other girl was way older than her. She felt old when the other girl called her that.